Hello everyone! 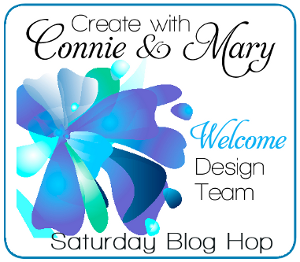 It's time again for the Create with Connie and Mary Saturday blog hop! 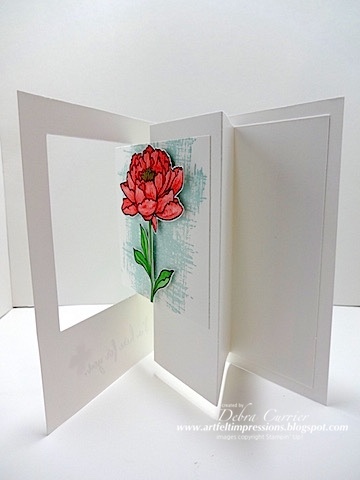 This week we are featuring Pop Out Swing Fold cards! I am your stop right after the fabulous Debbie Henderson! I had never even heard of this type of card before - lol! 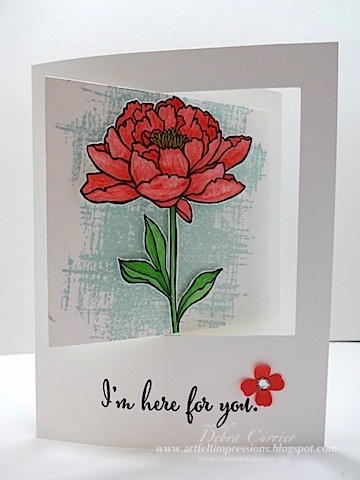 This card is really easy to make! I had a lot of fun making this! The first picture shows the front of the card (it was hard to get a picture of it closed all the way). I also used some fun new products and colors! And this is a picture of the inside! Time to send you on to see what fabulous creation Connie Babbert has to show us! Thanks for stopping by and have a super day! Very, very pretty card. Sweet and simple.